GUAYABERASCUBANAS Chinese Collar or Mao Collar Guayabera. Luxury Party Wedding Guayabera. No Pockets (Medium, Blue) by GUAYABERASCUBANAS at SCRHI. Hurry! Limited time offer. Offer valid only while supplies last. Luxury embroidery and pleats.10 % High Quality Linen. Fitted Style. 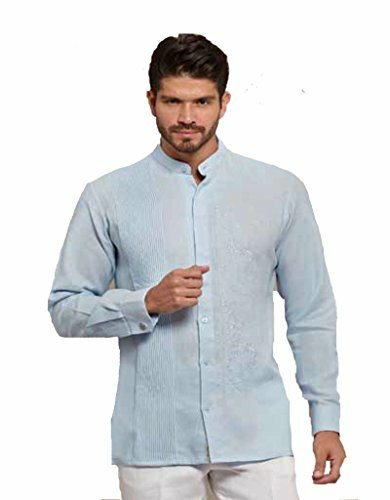 Chinese Collar or Mao Collar Guayabera. Luxury embroidery and pleats.